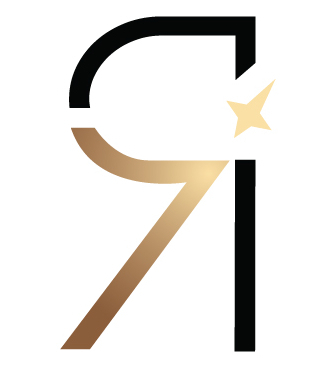 For those who find themselves spending sometime in Kuala Lumpur soon, look no further for your next dining destination. 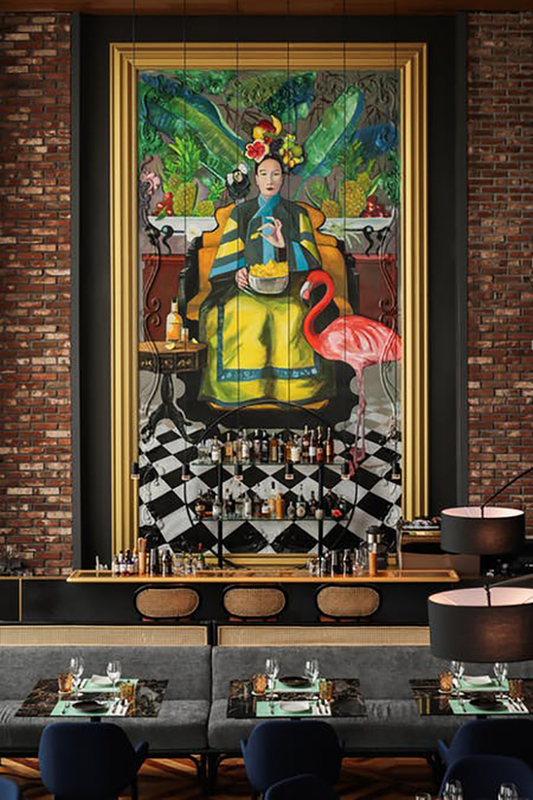 Enter the extravagant abode of Mr Chew Chino Latino Bar and you’ll be greeted by Empress Dowager Ci Xi herself, holding a plate of tortilla chips, a bottle of tequila and a pink flamingo – an odd mix but the stunning interior perfectly illustrates what dining at Mr Chew is all about – a mesh of innovative Asian flavours with touches of Western flair in-between. 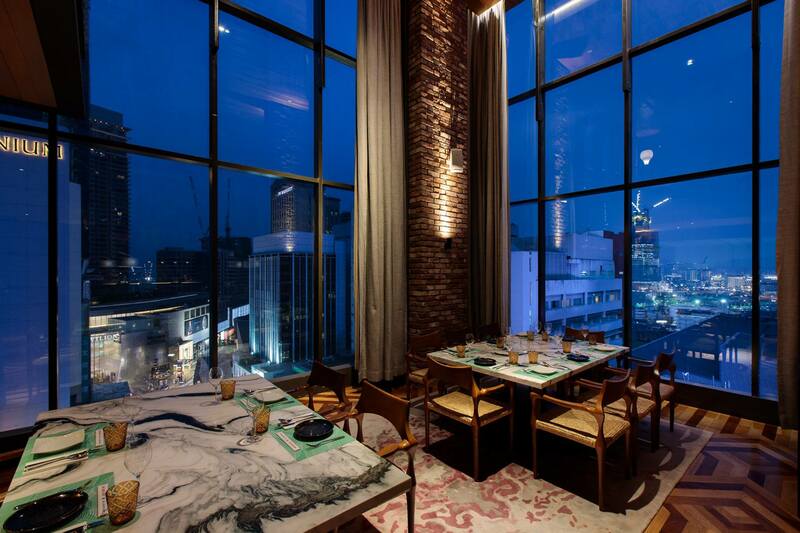 Probably the most Instagrammed space since its inception, Mr Chew has so much more to offer than just a pretty interior, which is inspired by a Manhattan loft, complemented with pop colours, Asian culture and the perfect KL skyline view (although we have no complaints about that!). 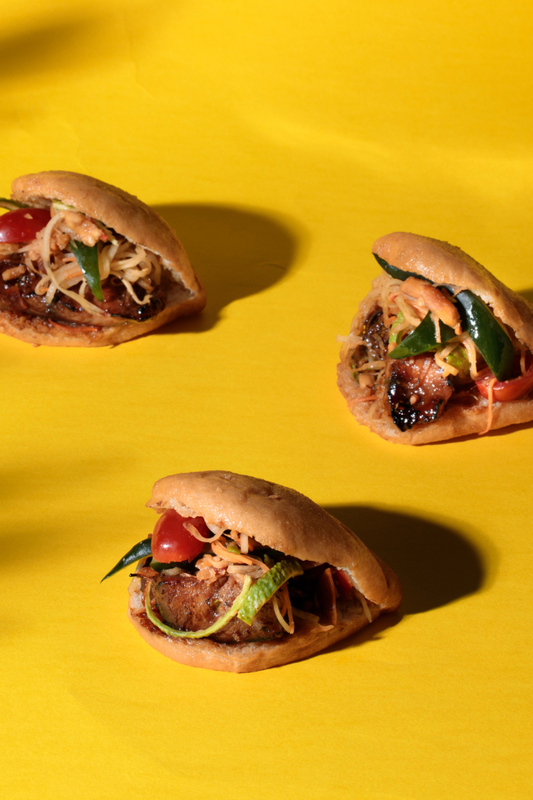 From its Japanese-styled Nori Taco to its takeaway-packed Gin & Tonic and catfish “char siew” buns, there’s a million and one things to try at Mr Chew. The most photographed drink at Mr Chew, the Mr Chew’s ‘Take-Away’ G&T is something everyone needs to try when dropping a visit. Poured into the staple Chinese food take-away box, this cocktail here is everything we want in a Gin & Tonic and more! 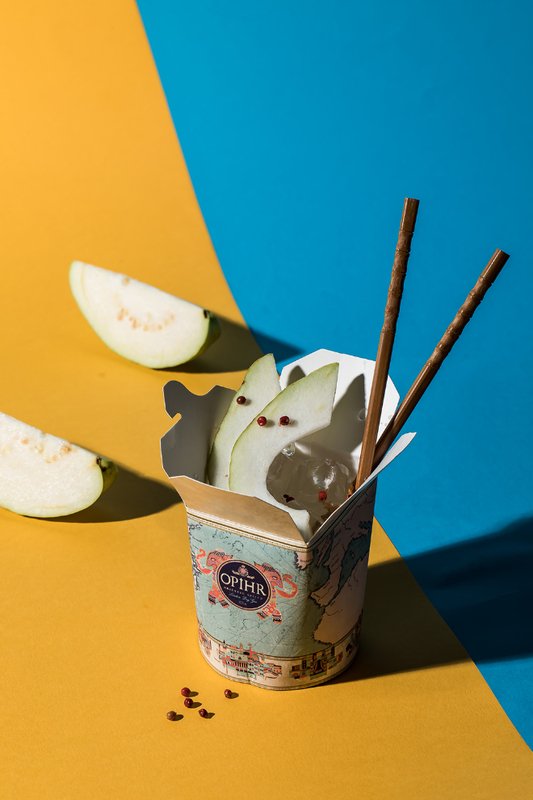 Made with Opihr gin and a touch of pink peppercorn (for the little kick on the palate) and finished with slices of fresh guava, it is as refreshing as it can get – perfect to quench your thirst after a long day at work. “Chew On This”. That’s the first thing you see when you order the Nori Taco (which you must!). Inspired by the popular Mexican bite-sized dish, but what you have here is not your regular tortilla folded with greens and meat within. 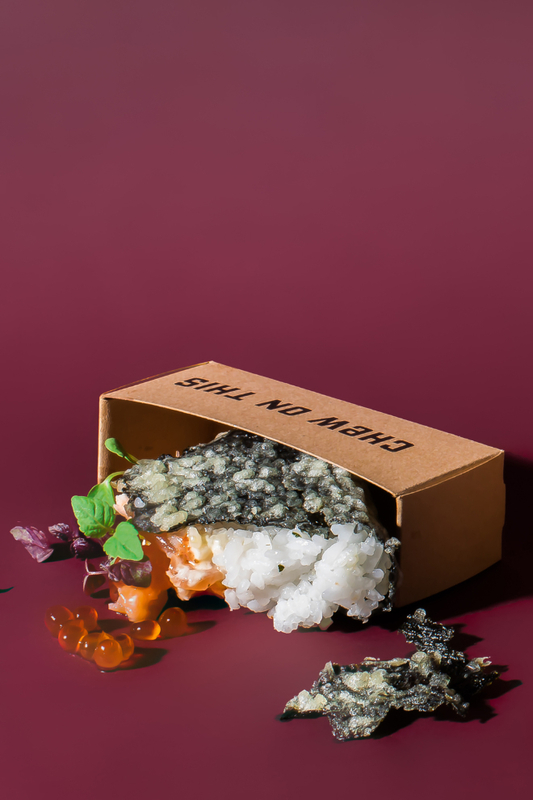 At Mr Chew, its’ taco takes form inside a crispy seaweed wrap filled with fragrant sushi rice and succulent salmon belly. Within the crunchy bite that melts into the salmon and finished with a zest of salmon roe and velvety tobiko mayo, all you can say after is “more please”! Mixing two signature ingredients from the Chinese century egg and Japanese somen noodles, Mr Chew presents the mouth-watering bowl of cold noodles. 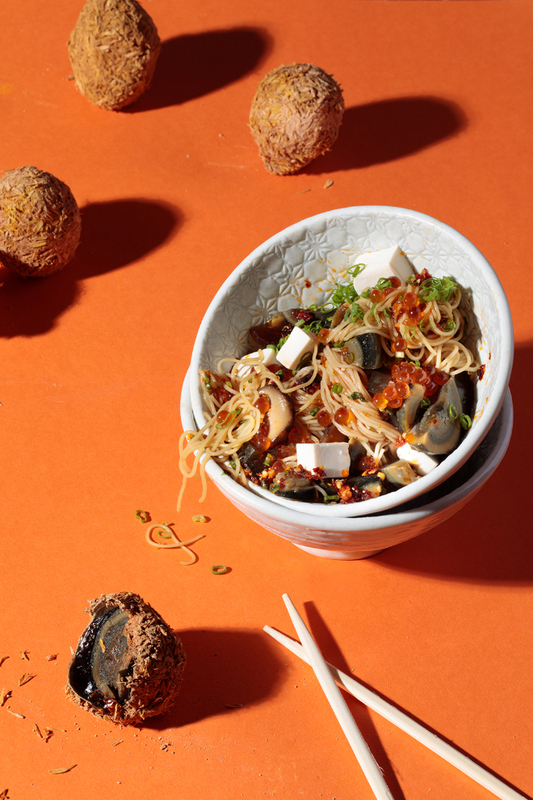 To some palates, the century eggs alone might be on the overpowering spectrum, but thanks to the sweet tofu and salty punch of salmon roe popping in every bite, this bowl becomes a perfectly executed dance of Eastern wonder. Prepare to be surprised because the ‘char siew‘ used at Mr Chew does not come from the land. Behold, the catfish char siew baos that uses barbequed catfish meat as its main ingredients and paired with sweet and spicy som tam. It really takes “catfishing” to the next level. 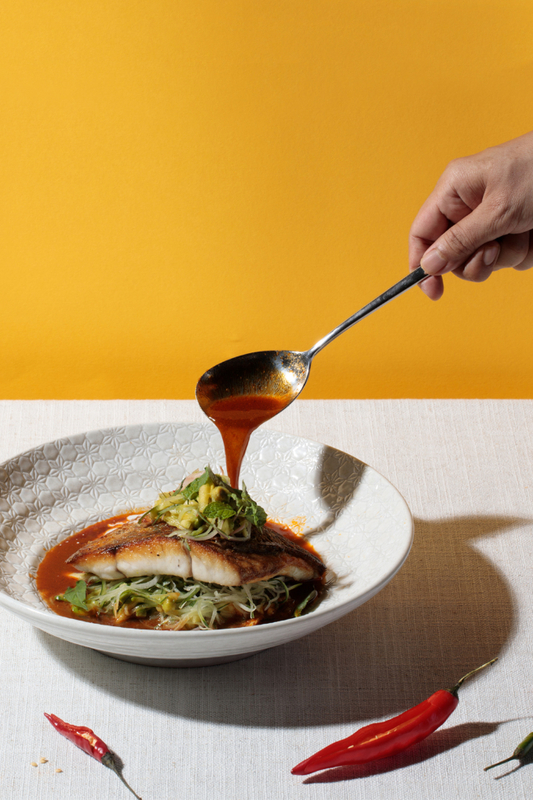 Onto bigger plates, one of the must-haves is the signature Pan Seared Barramundi. You and your friends should order the Mr Chew’s Special Fried Rice to share and pair with the fish dish. You wouldn’t regret it. For the barramundi, it is a seemingly simple dish that reminds one of home, probably from granny’s kitchen. A crispy slice of barramundi paired with spicy tamarind chilli sauce, coconut cream & pineapple and avocado ginger flower salsa, what more can you ask for? Talking about desserts, from the selection given, which includes Breakfast Burritos, Peanut Butter Parfait, Lychee Ice Kacang and more, the Dessert Tacos comes recommended. 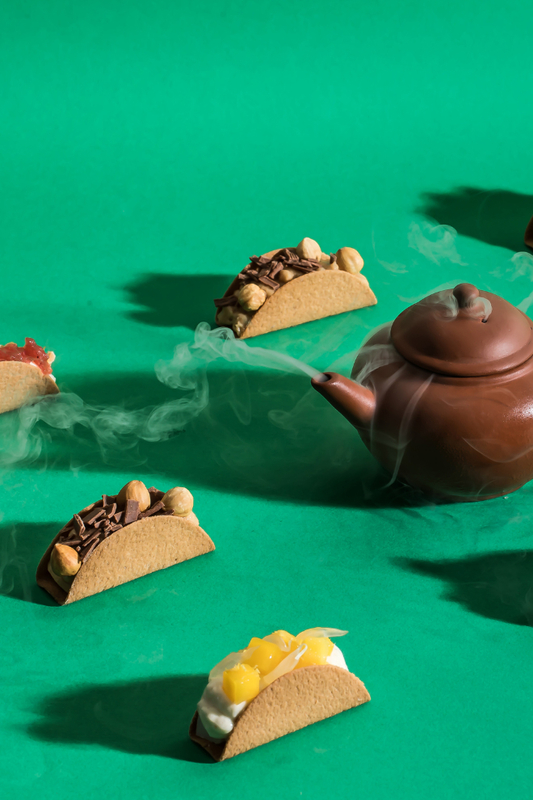 Not only is it a visual pleasure (you can’t go wrong with dry ice), the mini taco shells filled with delectable flavours are the combo of flavours to end the night with bliss. On the plate, you’d find two variations – mango chunks mixed with pomelo pulps and strawberry mixed with nuts ala peanut butter jelly –, both finished with fresh cream.